Their Royal Highnesses Crown Prince Alexander and Crown Princess Katherine together with Mr. Edward Wayne, Director of the Foundation “Bridge of Life” and his wife Tatjana attended the opening of a new state of the art “call center” of the children’s SOS which was established exactly 10 years ago by HRH Princess Katherine in cooperation with the Ministry of Labour and Employment, Ministry of Health, Ministry of Education and Sports, the National Office of the President of the Republic and Telekom. 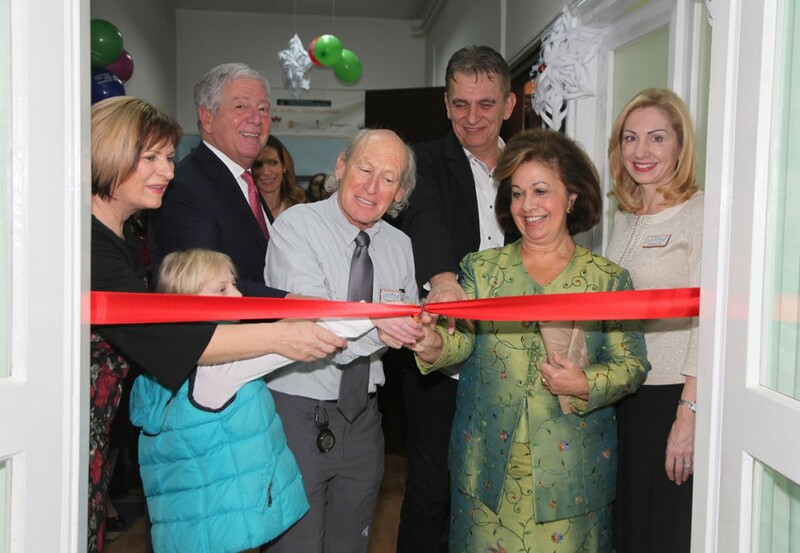 On the tenth anniversary of the founding of SOS Children’s line, Princess Katherine called her good friend Mr. Edward Wayne, who along with his charitable organization “Bridge of Life” that helps orphanages around the world, to come to Serbia, to visit NADEL, to assist in the adaptation of premises and modernisation of the technology used by the Children’s SOS line. Mr. Wayne accepted the princess’ invitation, visited the Children’s SOS line and very kindly invested substantial resources in order to reconstruct the space premises of the Children’s SOS line and provide new software and hardware for processing data on children calls. The Head of the National Children’s Lines Ms. Zeljka Burgund points out that once neglected area of the former archives of Zvecanska was converted into the most advanced call center, which could be envied on by any European children’s line. 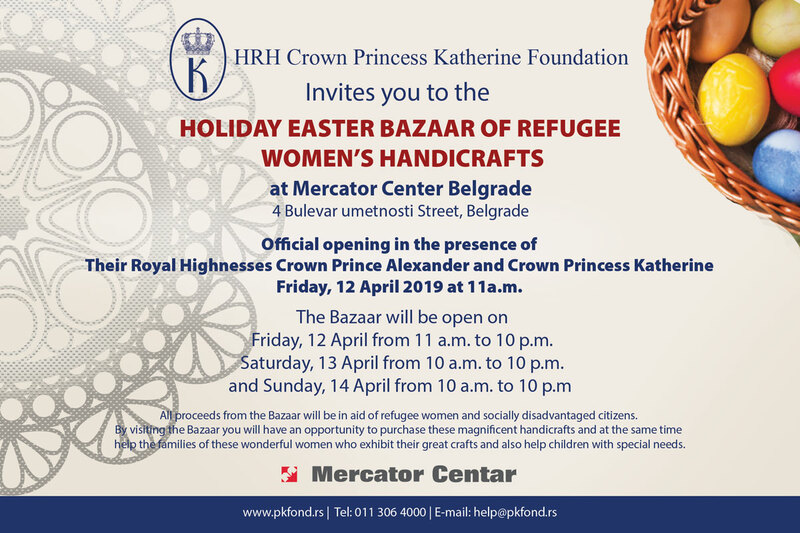 Her Royal Highness Crown Princess Katherine expressed her great gratitude to Mr. Edward Wayne and his wife for their wonderful help and the time they invested in this project which will be most beneficial for our children. “My husband Crown Prince Alexander and I will continue to help as much as we can. I am very proud of our work and all the successes that the line has achieved. We want the work with children to improve and evolve, to start working with parents and to promote further development of the children’s telephone line. This new space will enable all this.” – Said Princess Katherine. Mr. Edward Wayne, Director of the Foundation “Bridge of Life” said that for all the children victims of abuse in family or who have similar problems, the SOS Children’s line represents a light at the end of tunnel, and that thanks to Princess Katherine and all the others present today that light will keep shining on. Children’s SOS line is available to all children and youth in Serbia (1.3 million children aged 6 to 18 years) 24 hours a day, 365 days a year and the call is free from all mobile network and all phones. The call is confidential, anonymous and the counseling services are constantly accessible for children, teens and adults concerned about children on number 0800 123456 and 116111 as of tomorrow. The ceremonial opening of the SOS Children’s line was also attended by Mrs. Milka Kalaba from the Ministry of Education, Labour, Employement, Veteran and Social Affairs, representatives of the Ministry of Education, Mr Branko Stefanovic, director of function for big business users of Telekom Serbia, representatives of UNICEF, directors of Homes for children without parental care, as well as numerous associates of the National children’s line.